A war is being waged against us by radical Islamists, and, as current events demonstrate, they are only getting stronger. Al-Qaeda has morphed into a much more dangerous, menacing threat: ISIS. Lt. General Michael T. Flynn is blunt and urgent. This book aims to inform the American people of the grave danger we face in the war on terror?and will continue to face?until our government takes decisive action against the terrorists that want nothing more than to destroy us and our way of life. Flynn spent more than thirty three years in Army intelligence, and as Director of the Defense Intelligence Agency worked closely with Generals Stanley McChrystal and David Petraeus, Admiral Mike Mullen, Director of National Intelligence James Clapper, and other policy, defense, intelligence, and war-fighting leaders. 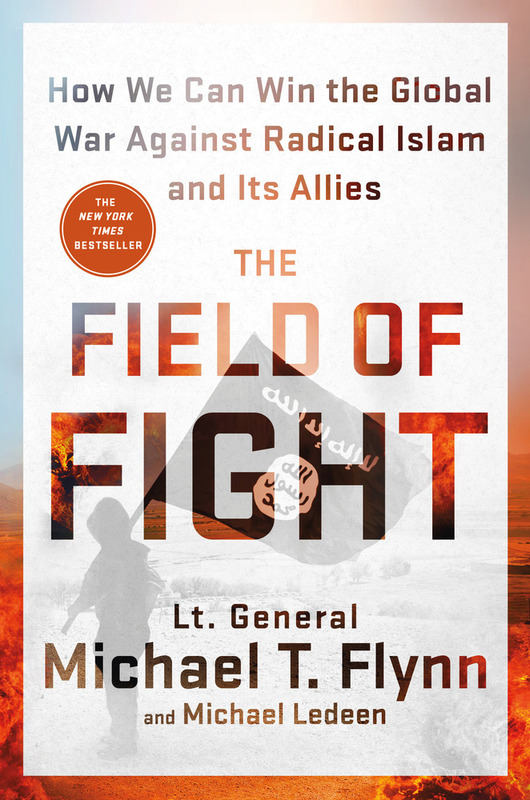 From coordinating on-the-ground operations in Iraq, Afghanistan, and elsewhere, to building reliable intelligence networks, to preparing strategic plans for fighting terrorism, Flynn has been a firsthand witness to government screw-ups, smokescreens, and censored information that our leaders don’t want us to know. The Field of Fight succinctly lays out why we have failed to stop terrorist groups from growing, and what we must do to stop them. The core message is that if you understand your enemies, it’s a lot easier to defeat them?but because our government has concealed the actions of terrorists like Osama bin Laden and groups like ISIS and al Qaeda, and the role of Iran in the rise of radical Islam, we don’t fully understand the enormity of the threat they pose against us. A call to action that is sensible, informed, and original, The Field of Fight asserts that we must find a way to not only fight better, but to win. Lt. General (Ret.) Michael T. Flynn has served as the Director of the Defense Intelligence Agency and the Senior Military Intelligence Officer in the Department of Defense. He also founded the Flynn Intel Group, a commercial, government, and international consulting firm. He lives in Virginia. Michael Ledeen is the author of War Against the Terror Masters and The Iranian Time Bomb. He spent twenty years at the American Enterprise Institute where he held the Freedom Scholar chair, and now holds a chair at the Foundation for Defense of Democracies. He lives in Maryland.